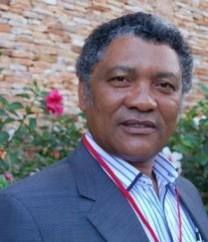 The Winter Kabimba PF sponsored ‘militia’ group has today resolved to physically hound out Foreign Affairs Minister Given Lubinda from his office on Monday. Sources who attended the meeting at the PF secretariat this morning have told the Watchdog that Kabwata Constituency Chairman David Silubanji has told the Kabimba youth militia to match to the Foreign Affairs offices, opposite Zambia police headquarters along Independence avenue, and physically remove the Kabwata parliamentarian without police permits. Mr. Kabimba who is PF Secretary General is determined to expel from the party anyone he perceives as threats to his presidential ambitions. Addressing a media briefing soon after the meeting, Mr. Silubanji vowed to carry-out Kabimba’s instructions by dragging Mr. Lubinda out of his office on Monday. And Watchdog understands that the hounding of Mr. Lubinda has the blessings of president Michael Sata who wants to create a bye-election and impose his son Mulenga Sata as Kabwata MP. The scheme is also meant to create a cabinet vacancy for former Mpongwe MP Gabriel Namulambe who resigned from MMD last week and joined PF. Mulenga Sata is currently widely expected to win the position of Lusaka deputy Mayor position which he is aspiring that has been created after forcing the incumbent into diplomatic service. Mr. Sata himself was once Kabwata MP before he ran-away to his home village in Mpika where he contested. So far senior members of PF and cabinet have been targeted in the scheme that started with Defence Minister, Geoffrey Mwamba Bwalya (GBM) and has now reached Youth and Sports Chishimba Kambwili who has so far been accused on abusing youths empowerment fund by giving it to his girl friends and relatives.